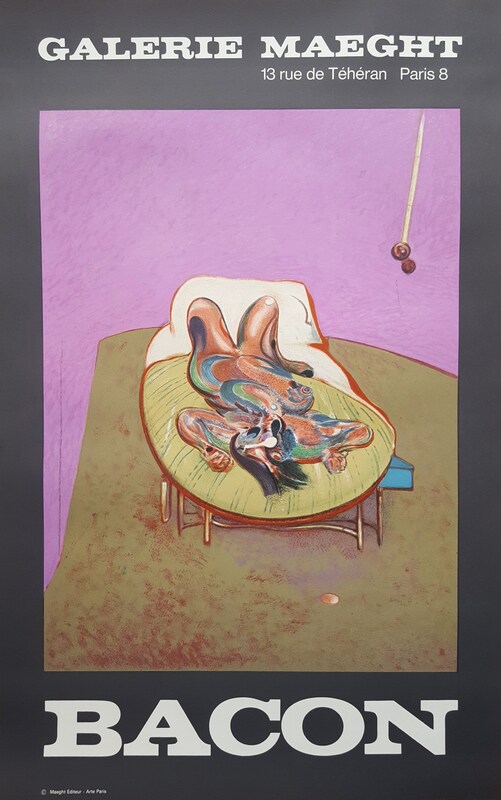 Sheet Size: 28" x 17.75"
Francis Bacon was born to English parents living in Dublin, Ireland, on October 28, 1909. After traveling to Germany and France as a young man, he settled in London and began a career as a self-taught artist. Most of his paintings from the 1940s to '60s depict the human figure in scenes that suggest alienation, violence and suffering. Bacon's provocative, expressive work is considered some of the most important art of the postwar era. He died in Madrid, Spain, on April 28, 1992.